We were challenged with a redesign which needed to present a unified corporate image while keeping each division's identity intact. The result? Check it out! Present a unified corporate image. And keep each division's identity intact. Wow, that's a lot. But we LOVE a challenge! 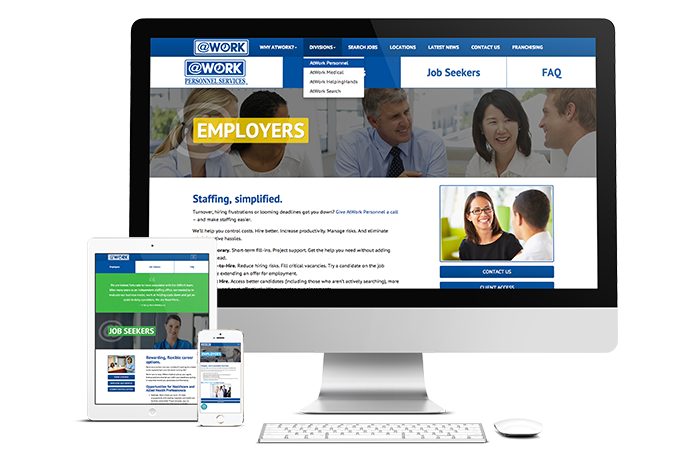 AtWork's tall home page provides a quick intro to the organization. Each division page is designed like its own mini-site. Potential franchise owners can quickly find information to get them interested. An interactive map makes it easy find any office. Haley Marketing's job board optimizes jobs for search engines and mobile job seekers. And the whole site is mobile, so it looks great...and works great on any device. And best of all...one VERY HAPPY client! "The team at Haley Marketing has been wonderful to work with throughout the entire web development process! I assumed that our request for a full six-site consolidation and redesign was going to be a stressful and time-consuming process, but the team at Haley proved me wrong!  We are extremely pleased with the professionalism, timeliness, and quality of work, and look forward to partnering with Haley Marketing on our future marketing needs!" Click here to set up a free website consultation.